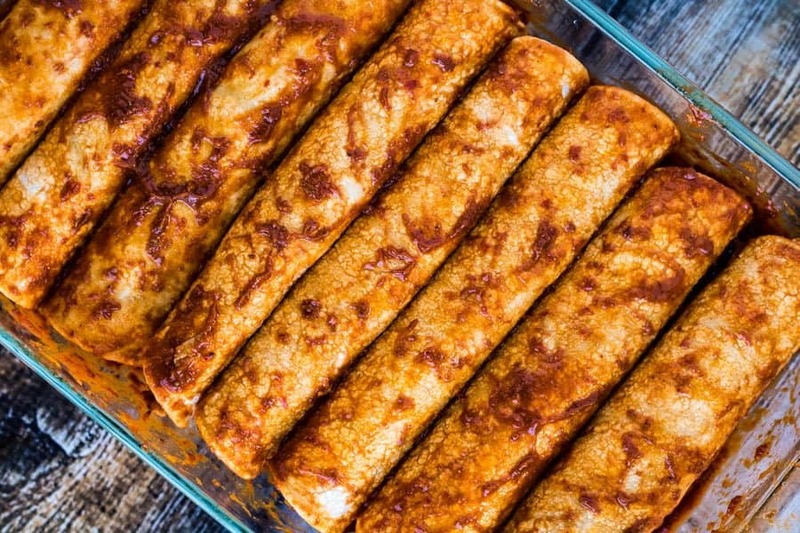 Homemade Chicken Enchiladas with my Easy Enchilada Sauce are totally my jam. There are sauce people and there are non-sauce people. I am definitely a sauce person. 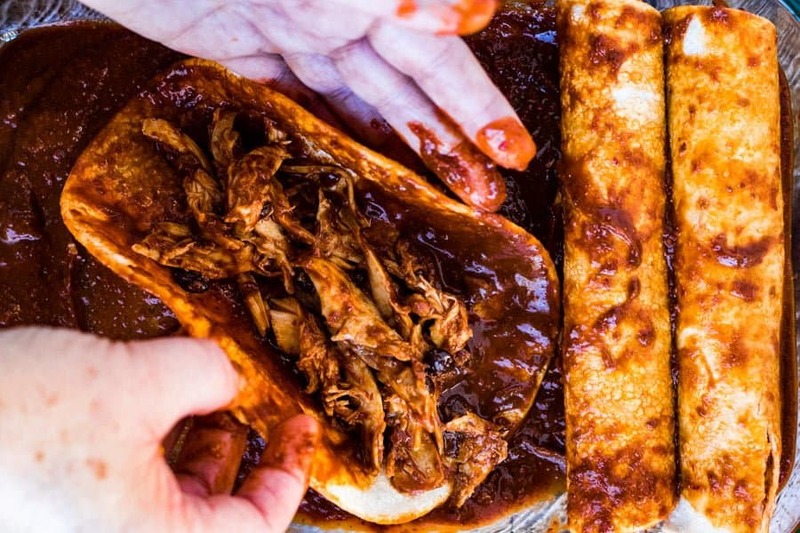 In fact, with many dishes, I’d be happy to leave the “main” ingredient out and just eat the sauce—maybe ladled over rice or sopped up with hunks of crusty bread. Ever since I can remember, I’ve based my meal choices on the sauce rather than on what was being sauced. At a Thai restaurant, do I want fish cakes with sweet chili sauce or beef satay with peanut sauce? If pressed, I’ll always choose peanut sauce (although I do love fish cakes. And sweet chile sauce. Who am I kidding? I order both). There’s a Peruvian restaurant in my neighborhood that I love, not for any particular dish or even a selection of dishes, but for the spicy-tangy cilantro dipping sauce they bring with whatever you order. And in a Mexican restaurant, you can be sure I’m going to gravitate to anything that comes covered in any kind of mole or red chile sauce. 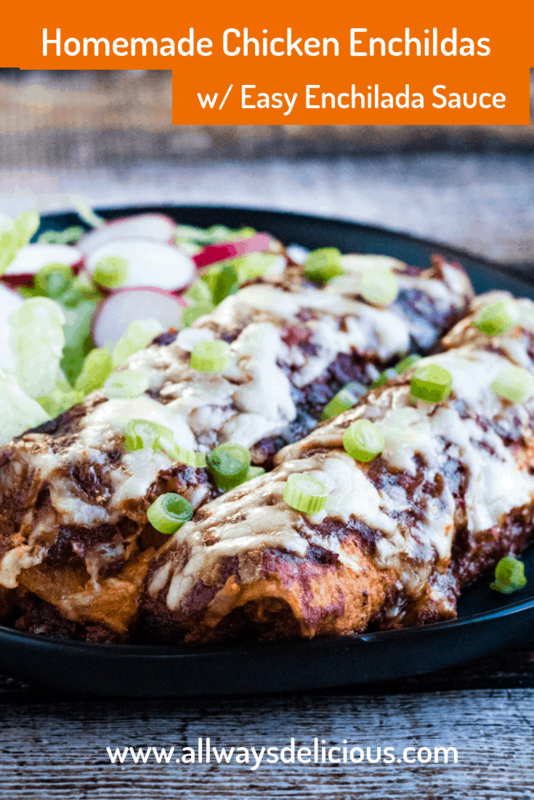 I’ve shared my favorite Easy Enchilada Sauce recipe on the blog before, pairing it with tamales for the winter holidays. 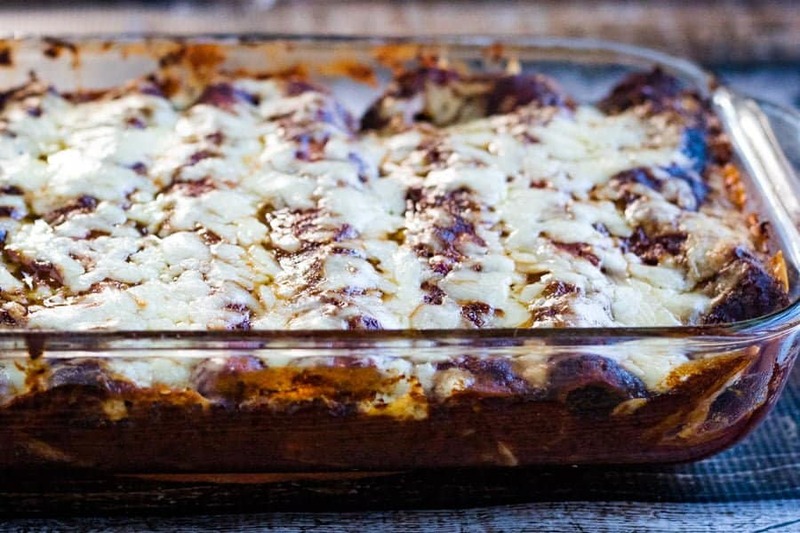 This delicious sauce, though, shows up on my table much more frequently on my homemade chicken enchiladas. 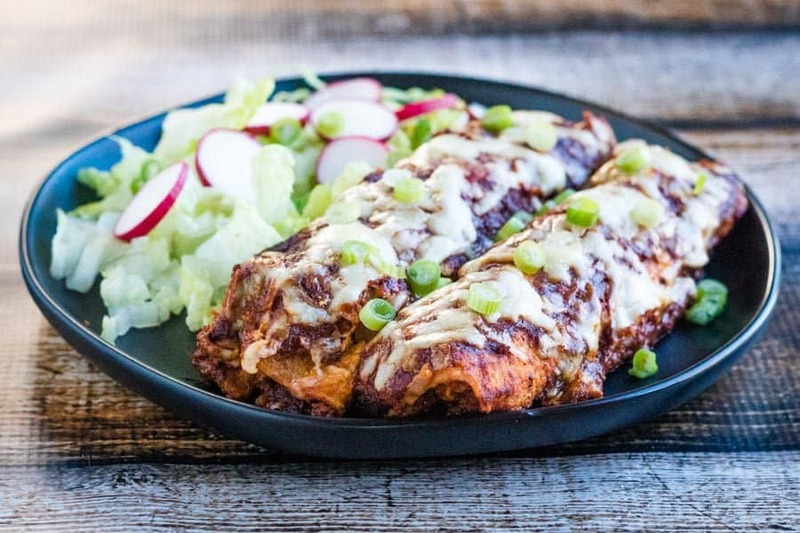 As usual, it is really the red chile sauce that gets me excited about enchiladas, but I do love how versatile the recipe is. 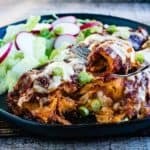 I’m sharing my recipe for black bean and chicken enchiladas here because it is my family’s favorite incarnation. And also, to be honest, because I love that I can cook a whole chicken in my air fryer. 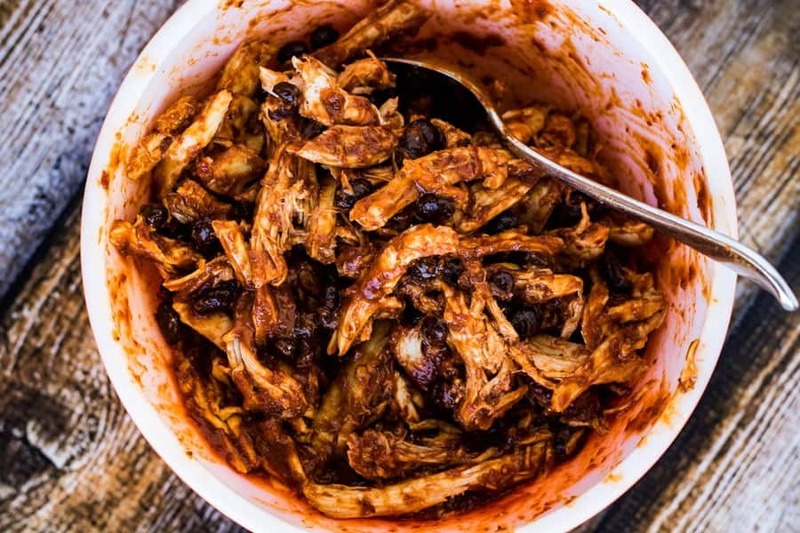 It makes the most tender, succulent shredded chicken filling for my enchiladas. 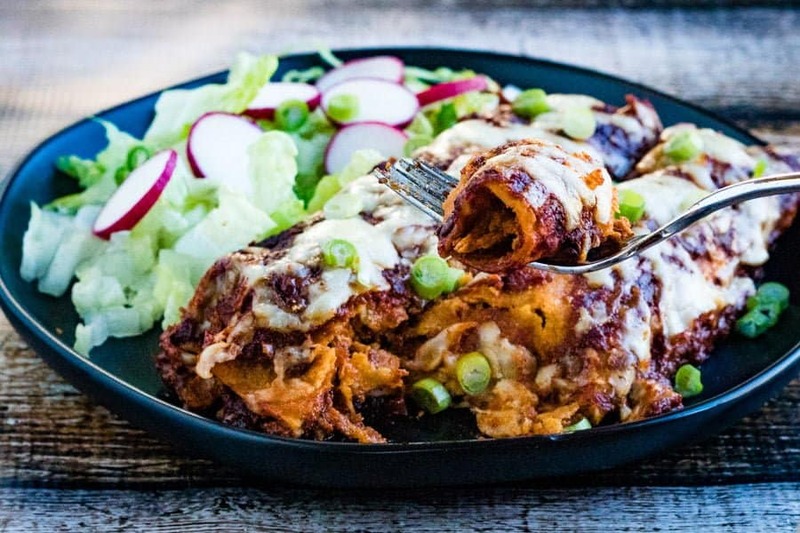 That said, I love enchiladas filled with all sorts of other things, too. A favorite vegetarian combo is butternut squash (or sweet potato) with black beans, mushrooms, and spinach. I think shredded beef would also be a great match with this rich, spicy sauce.